"This excellent work fills the need for an upper-levelgraduate course resource that examines the latest biochemical,biophysical, and molecular biological methods for analyzing thestructures and physical properties of biomolecules... Thisreviewer showed [the book] to several of his senior graduatestudents, and they unanimously gave the book rave reviews.Summing Up: Highly recommended..." CHOICE Chemical biology is a rapidly developing branch of chemistry,which sets out to understand the way biology works at the molecularlevel. Fundamental to chemical biology is a detailed understandingof the syntheses, structures and behaviours of biologicalmacromolecules and macromolecular lipid assemblies that togetherrepresent the primary constituents of all cells and all organisms.The subject area of chemical biology bridges many differentdisciplines and is fast becoming an integral part of academic andcommercial research. This textbook is designed specifically as a key teachingresource for chemical biology that is intended to build onfoundations lain down by introductory physical and organicchemistry courses. 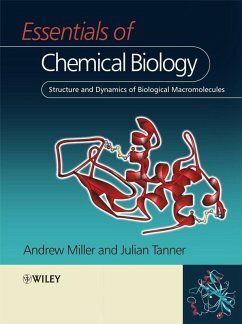 This book is an invaluable text for advancedundergraduates taking biological, bioorganic, organic andstructural chemistry courses. It is also of interest to biochemistsand molecular biologists, as well as professionals within themedical and pharmaceutical industry. 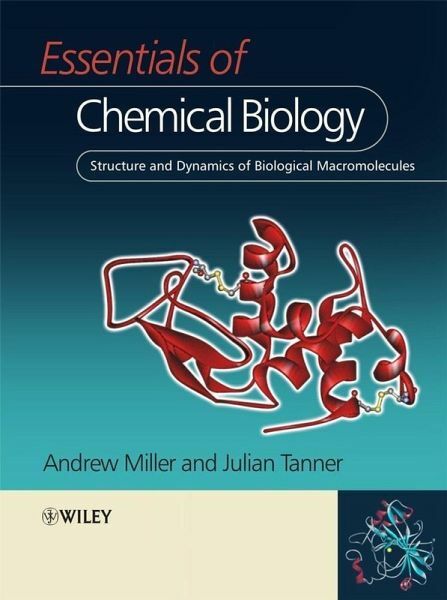 Key Features: * A comprehensive introduction to this dynamic area of chemistry,which will equip chemists for the task of understanding andstudying the underlying principles behind the functioning ofbiological macro molecules, macromolecular lipid assemblies andcells. * Covers many basic concepts and ideas associated with the studyof the interface between chemistry and biology. * Includes pedagogical features such as: key examples, glossaryof equations, further reading and links to websites. * Clearly written and richly illustrated in fullcolour. organisation. 10.3 Directed evolution of protein function. 10.4 Directed evolution of nucleic acids. 10.5 Catalytic antibodies. Introduction: What is Biological Chemistry? Chapter One: Basic Biomolecule Structures. Chapter Six: Diffraction and Microscopy. Chapter Seven: Structural Forces and Thermodynamics. Chapter Eleven:Molecular Motion.Chapter Twelve: Self Assembly of Biomolecules.